And how is it done right? To begin with: I don‘t know any of these answers, as I believe there is as many answers to these questions as there is people. Yoga is an experience based science, I can only speak from my own experience and share what I have found on my path. We all face different challenges in our life and this determines the way of how we perceive and practice yoga. It is not about imitating someone. When I was 21 I broke one of my vertebraes snowboarding. Not only was this the end of believing that I am indestructible, but also led me into a lifestyle that made things even worse. Avoiding sports and numbing myself with everything I could get into my hands. At the age of 25 I was basically and alcoholic that had totally lost connection to my physical body. Depression and suicidal thoughts came up out of this mess I had created for myself. When I was advised to try Yoga to help me out of this by my therapist I didn‘t really take that as a serious solution, but I didn‘t have much to loose at that point of my life. I gave it a try. How to accept myself for who I am and go from there. 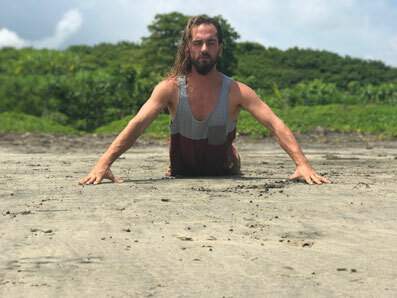 With deep gratitude I soaked up the teachings of Self Awakening Yoga from Don Stapleton as this was the first thing that really helped me after my injuries and reconnected me with my body by raising my awareness towards it. Over the years I developed these teachings through my own experience into a class format that I love sharing with my students today. Being a Yogi doesn‘t save us from injury as I had to find out. In 2015 I dislocated my left forearm in an skateboarding accident. Almost four months I was wearing a cast from my wrist to shoulder, it turned my life upside down. I had to close my yoga studio I was running for almost two years and went travelling. During the recovery it was not only my arm that had to be restored, but also my whole body dynamics as I had gained around 20 pounds during that time. Over the two years of recovery I learnt that pushing it hard is not always helpful. After moving to Nosara in 2016 I focussed on the practice of Restorative Yoga as taught by Jane Fryer to heal my arm. This incredible teacher and human being not only shared the techniques of teaching Restorative Yoga with me, but even more important gave me a deep understanding of the importance of it to our Nervous System. I am beyond grateful for her teachings and hope to share them with my students over the next years as they evolve through my experience. Today I find myself full of gratitude for the succesul healing process of my arm and the teachers I had that equipped me with the tools to do that. Yoga helped me to surf again, do funky arm balances and play my guitar for more than two hours without pain. And that‘s exactly what I am going to do. This is what practicing Yoga is to me. The art of maintaining my physical health and mastering challenges my body and mind is struggling with. It doesn‘t mean its always easy, that‘s why it is called a practice. I do not aim to reach enlightenment at this point. I just want to keep my sh*t together and be supportive towards people around me, while allowing myself to be who I am in an authentic way and inspire others to do similar. I invite you to experience the Yoga that has come from my own experience. 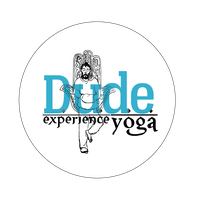 Not to become like me, but to find YOUR Yoga and help you connect with the multidimensional being that YOU are. That is why I teach Yoga.